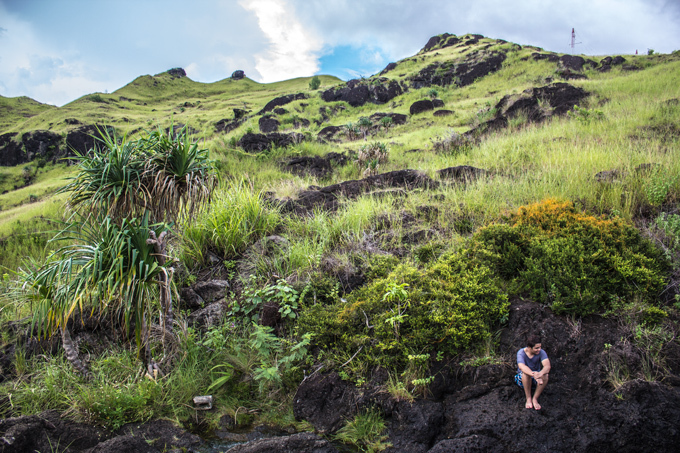 Experience the tropical U.S. territory of Guam while developing your photography and filmmaking skills! 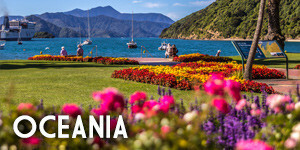 Travel with a small group around the island with a focus on arts, culture, and landscapes. Learn from photographer and filmmaker Jessica Peterson who has called Guam home for nearly seven years. 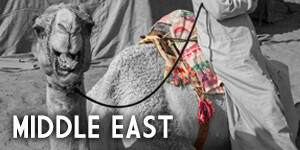 Photographers and filmmakers of all levels are encouraged to book. Some light hiking is included, so you must be in moderately good health. Price per person: $3,485 USD for April tour. $3,985 USD for December tour. 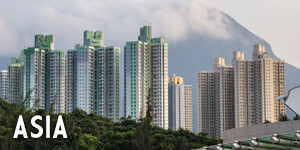 Add $700 for single occupancy. 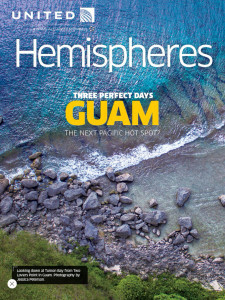 Local discount: If you’re a Guam resident, take $1,000 USD off. 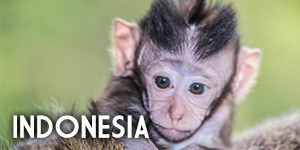 Deposit: $1,000 USD due upon booking. Final payment due no less than 30 days before tour. 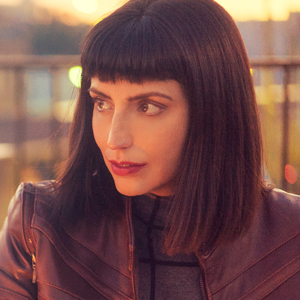 Tour guide Jessica Peterson is a journalist, photographer, and filmmaker. 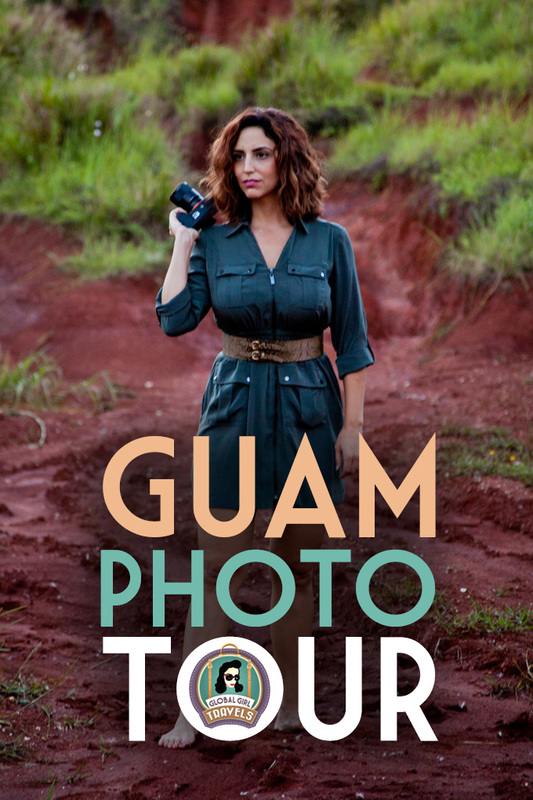 In addition to Global Girl Travels, she is the creator of The Guam Guide, a site she operates from the picturesque Pacific island. In February 2015, her cover story and photography appeared in United Airlines Hemispheres Magazine. 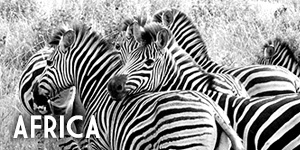 Jessica’s work has also been published in MSN, AOL, City Search, Jezebel, The Dallas Morning News, The Dallas Observer, and Lonely Planet. U.S. citizens need only a passport to visit Guam. No visa required! 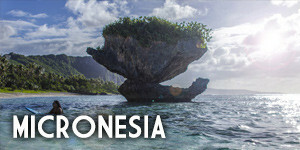 For visa information for other nationalities, go to VisitGuam.org. 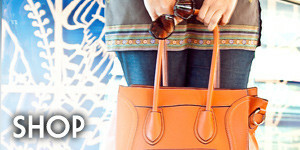 Check-in to resort and get settled. Jessica will greet you and answer any questions. Optional excursion to do some long-exposure photography on Guam’s busy tourist strip of Tumon. 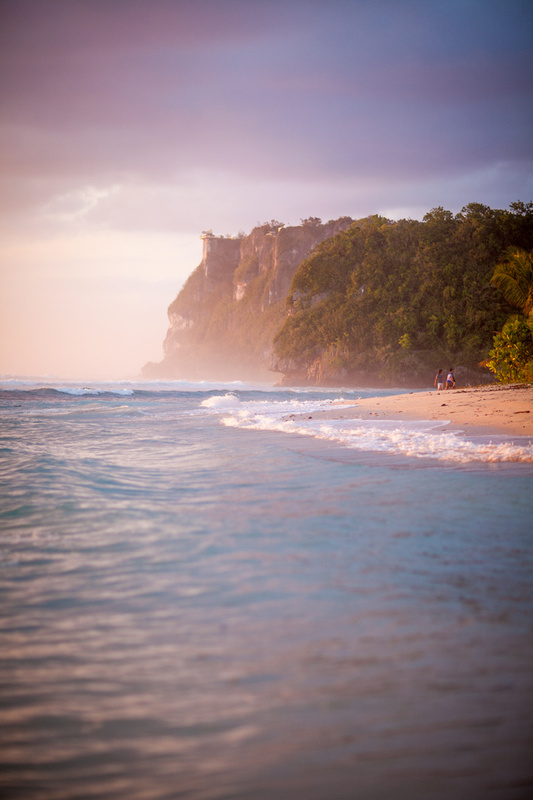 Take a road trip to Guam’s sleepy southern end. Breakfast and lunch to go. See WWII sites and even a centuries-old Spanish fortification. 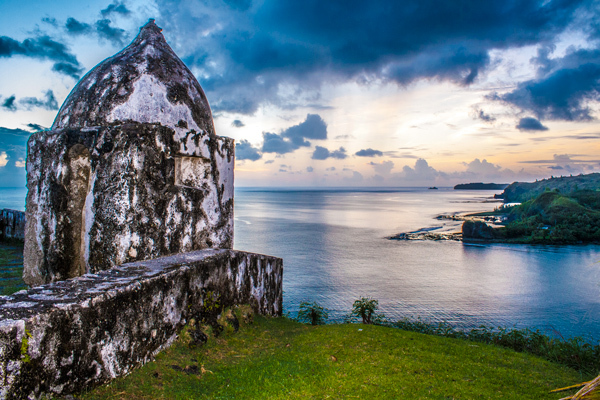 Experience the beauty and culture of Guam’s rural villages of Umatac and Merizo. Sites include Cetti Bay, Fort Nuestra Senora de Soledad, Merizo Pier, and a hike to natural swimming hole, Priest’s Pools. Enjoy free time at dinner. 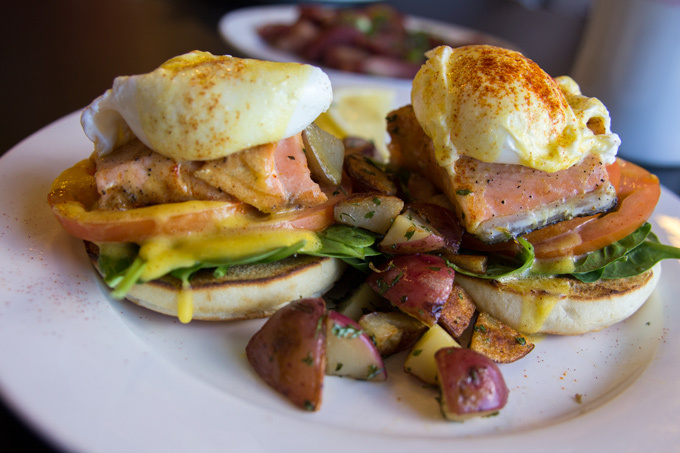 Rise early and enjoy a hearty local breakfast at one of Guam’s most popular restaurants. 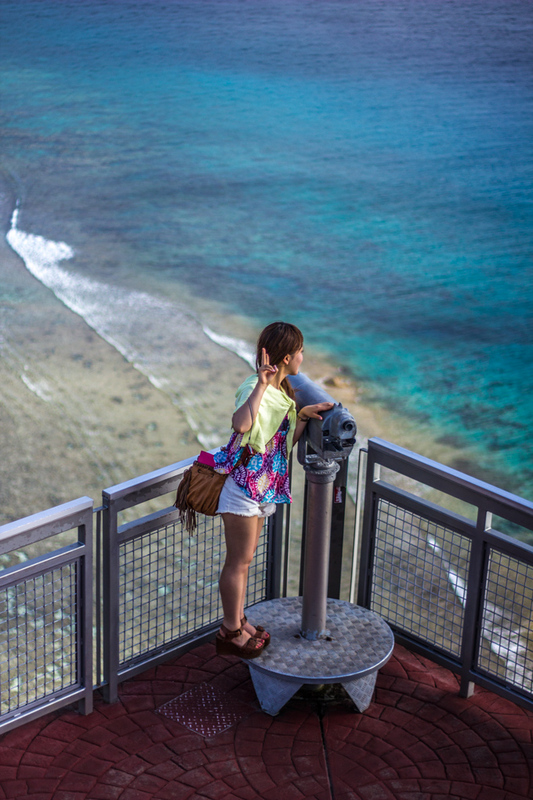 Head to Two Lovers Point, an iconic site that canonizes a Guam legend. 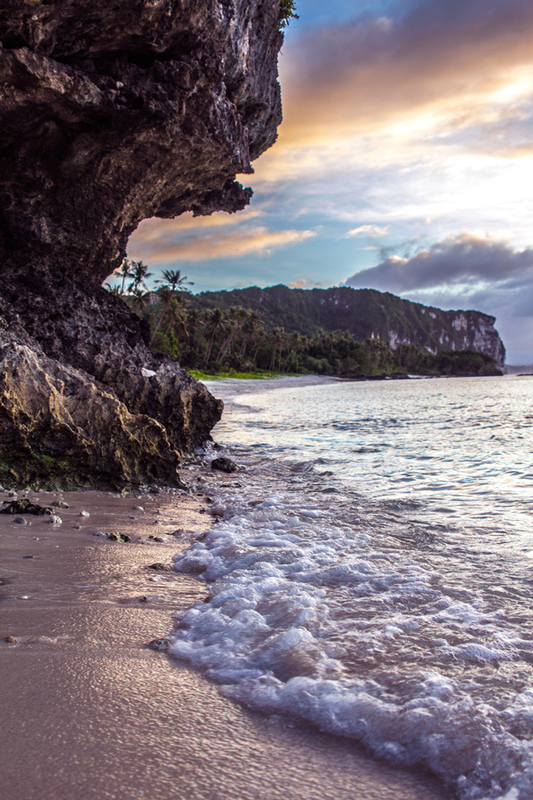 Take a short hike to Tanguisson, one of Guam’s most exotic beaches for photography, swimming, and snorkeling. 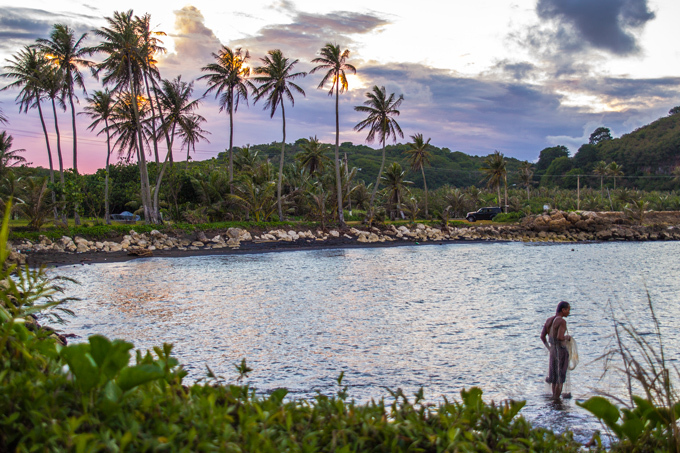 Watch the sunset at Gun Beach then enjoy dinner at an authentic Japanese restaurant. 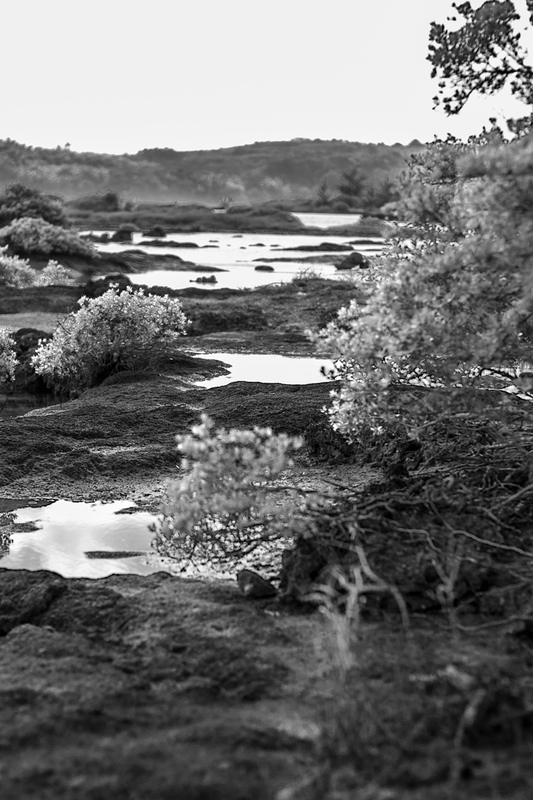 Rise early to photograph sunrise from rugged Tagachang Beach. 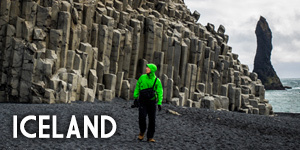 Travel south to a favorite spot of wind surfers, then to a black sand beach. 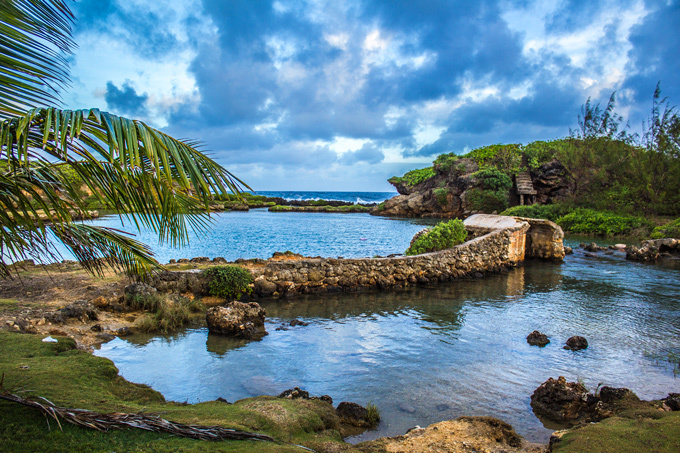 Photograph one of Guam’s most popular southern beaches, Inarajan Pools. 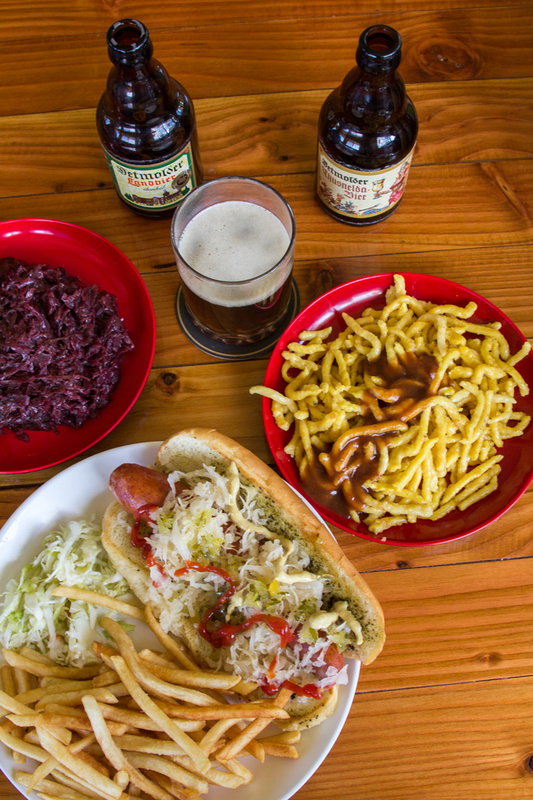 Take a stroll through historic Inarajan Village then eat dinner at Guam’s only German restaurant, McKraut’s. Sleep in and savor a morning off! 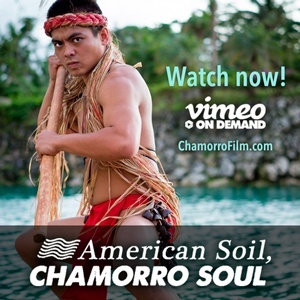 Enjoy an authentic Chamorro cultural dance performance over a buffet dinner at the hotel. 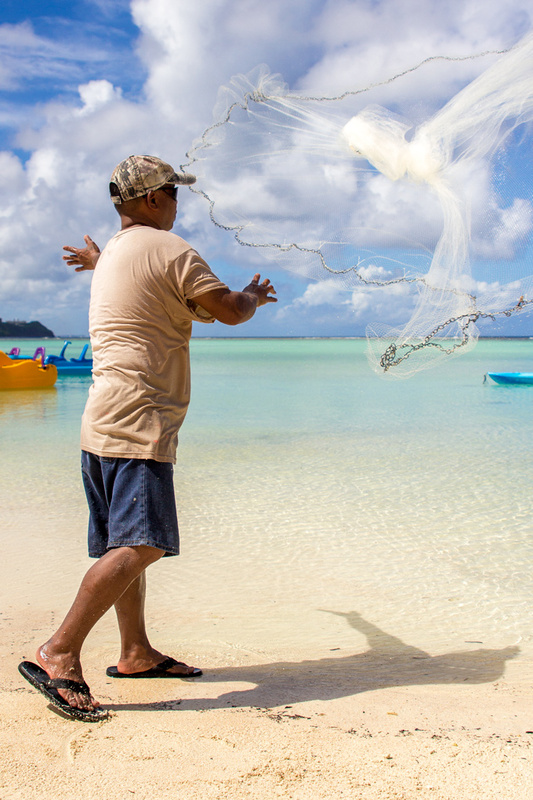 Rise early to photograph fishermen on Tumon Bay. The afternoon is free. 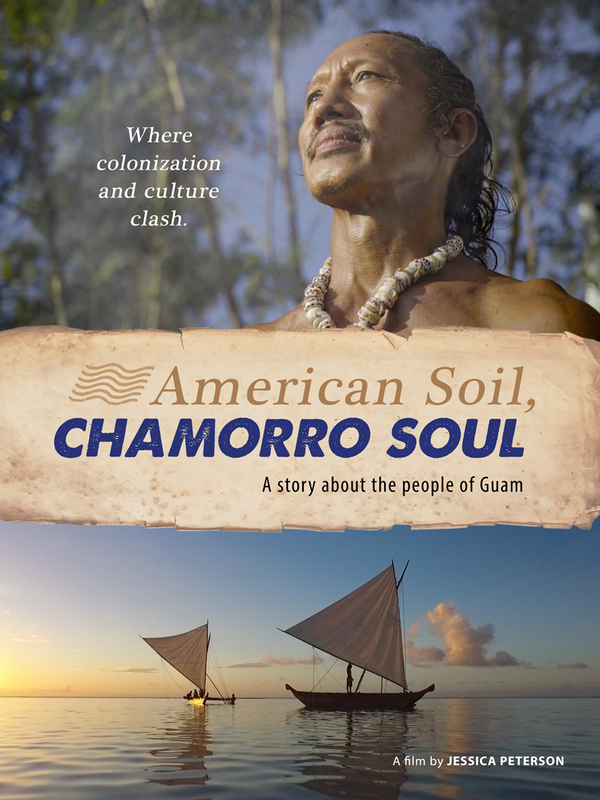 In the evening, attend the premiere of the Guam documentary film, “American Soil, Chamorro Soul” as a VIP! Transfer to airport for departure home. Photography and editing instruction, including long exposures, shooting RAW, and Photoshop tips and tricks. Your deposit is a firm commitment, and will be subject to a cancellation fee. $250 of your deposit is non-refundable. $500 is non-refundable 60 days before the tour. Final payment must be made 60 days before the tour. No refunds 60 days or less before the tour. Please do not make air travel arrangements until checking with us first. US Dollars based upon minimum of 5 paying participants. There is a small group surcharge of $300 if 1-4 paying participants. All our prices are based on double occupancy unless noted in exceptions. Single rooms are subject to availability. 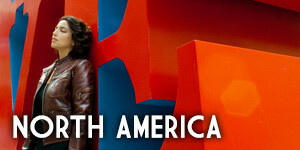 We try to accommodate travelers who request single accommodations, as well as travelers who are looking for a roommate. If a single room is requested, or if we are unable to find a suitable roommate, you will be required to pay the supplement of $700. Fill out the form below, then checkout securely with PayPal. Any special needs, such as allergies or dietary restrictions? Totally agree with everything you have posted here. I’d say bring a water bottle everywhere. Most people will not be accustomed to the heat and humidity. But go! Go!